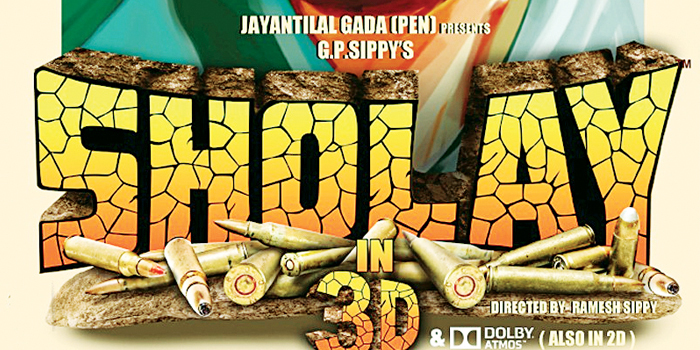 By now, most fans must know that Ramesh Sippya��s record-breaking hit film Sholay that immortalised Jai, Veeru, Gabbar Singh and Basanti, is getting a 3D makeover. The film, which was originally scheduled to release on Amitabh Bachchana��s birthday last week, has now been pushed all the way to January 2014. Alongside, the grandchildren of producer G P Sippy are also planning Sholay comic books, merchandise, an animated series on TV and dubbed versions of Sholay 3D for overseas markets. However, the entire endeavour is tinged with conflict and director Ramesh Sippy has no involvement in the company which owns the rights to his biggest success. He allegedly resigned from the company years ago. Fortunately, the stars a�� Amitabh Bachchan, Dharmendra, Hema Malini and Jaya Bachchan a�� are all believed to be supporting the reinvention of the 1975 movie. It will indeed be exciting to see the train sequence as well as Dharmendra dangling from a water tank in 3D!